Jesus said that it was a good thing that He was going away, because then the Father could send the Holy Spirit as our Helper (John 16:7). The Holy Spirit could then guide each of us personally into the truth, teach us all things, and bring to our remembrance all that Jesus had said. 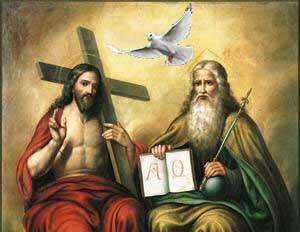 After all, the Godhead is the Father, Son, and Holy Spirit. Jesus made it sound like having the Holy Spirit was an important thing. Something, and Someone, you would want to have with you forever – a divine personal guide into all things God. He, the Third Person of the Godhead, is the one who welcomes us with His witness, and keeps us on the right path. And, that His help would continue forever. But ‘forever’ isn’t correct if you believe that the personal work of the Holy Spirit ended long ago, that the Holy Spirit ceased working actively and miraculously sometime during the early church period. Once the Bible was written, He is thought by some to be no longer needed. This kind of thinking evolved out of The Enlightenment, an intellectual movement during the eighteenth century, which elevated human reason to near divine status. It ascribed to reason alone the ability to discern truth of all types without appeal to supernatural divine revelation. Man went from a place of dependence upon revelation to the Age of Reason. Its effect today among mainstream evangelicals is to focus on the authority of the written word and to deny the reality of the ‘spiritual’ and unverifiable work of the Spirit. The intellectual mind is comfortable with the written word. It can be read, analyzed, and it can even appear to be understood. 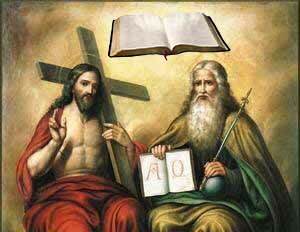 They believe it is ignorant to think that the Holy Spirit is needed to understand the Bible. It is as if we are saying that the Bible on its own is inadequate. Imagine someone teaching that the Bible itself is inadequate? Except that is exactly what is implied by God Himself. Who needs the Holy Spirit when we have a completed Bible? According to the God of the Bible – every Christian alive. The Bible could not have been written without the help of the Holy Spirit, and it cannot be read without the help of the Holy Spirit. The Word of God is Spirit and Life. It is not a book of natural reason. Our intellect could study the Bible and never find God. Understanding the Bible is an issue of revelation and not of intelligence. Belief is a moral and spiritual issue. The Pharisees diligently searched the scriptures and yet they never recognized Jesus. Faith is a divine supernatural evidence or conviction of things not seen, things not discoverable by our senses. In this experience, the Spirit takes the written truth that is known only rationally and makes it real to us in our spirit. It opens the eyes of our understanding to the meaning behind the meaning. We are no longer sharing mere ideas, now we are sharing God’s life. To drain the work of the Holy Spirit from the world would drain God’s Life from the world. The written Word of God gives balance to walking in the Spirit, and the Spirit gives life to the Word. Faith, the Bible says, comes by hearing and hearing by the (spoken) word of Christ – by way of the Holy Spirit. Without this hearing, we are faithless and powerless. No wonder Jesus told His disciples to wait until they received power of the Spirit to be His witnesses. We were not meant to do this alone. Amen, this was very educating. Amen. very educational article, it is true indeed we need the Holy Spirit in our lives. A Christian without the holy spirit is like a car without gas. There is no scriptural evidence of a “last” miracle or “last” Apostle. More miracles and apostles continue and will until we all come to full stature of anointing. Epuipt saints for ministry work . Eph. 4. Set ones in the church continue. Some give heed attention to seducing spirits of devil doctrine. False doctrine and false teaching is teaching devil doctrine. Condemning herisies leave you hopeless and unfit for use. A seed growing is a miracle. As long as earth remains seed, time and harvest. Divine intervention in natural courses of earth defines your miracle. According to the power working in you…He is doing exceeding abundantly above all you ask or think. According to the working of His mighty which He wrought in Christ.. . The working of His mighty power towards us ward who believe. As one cast seed it grows day and night not one knows how. First blade. Second ear. Third is full corn in ear. Leap over a wall…run through a troop. Immediately you are on the other side. Suddenly the authority is used for miraculous power authorised for kingdom deputies. The little I ams. In the authority stead and power of attorney delegated by Great I AM. Born again are vested with the kingdom seen within. Observe what you see to do and thou shall make your way prosperous and you shall be successful. See it. If you can say what you are seeing …you will see what you are saying!!! See what I’m saying? Again. Repeat if I keep my heart before the course…. I won’t get the cart before the horse. Say what you see….you will see what you say. You will see to do the works of God. 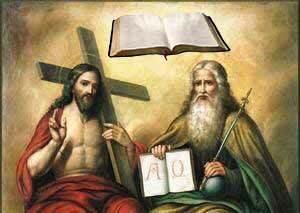 Observe to do by believing The Father and the son whom He sent. Greater works shall you do in my name; JESUS. Miracles anyone? Anyone? Anyone? Buella? Buella land is miracle land. Buella . Fairest Buella land. Miracle power is yours. I give you power and authority over all attempts of the devil. You trample over all by miracle power! !” Luke 10:19. Nothing shall by any means hurt you! Many miraculous signs and wonders to astound and astonish as demons go healing comes. Acts 19. You are anointed for miracles. Anyone? Miracles anyone? Yes and amen!!! Awesome “rhema” word which confirms it was “breathed” on and “inspired” by “Him”. Paul consistently and continually admonished ” The Kingdom of God is not about talk, but, “Power!” For those who say they are appointed, anointed, and called by God, but, have a “form of Godliness, but, deny the power”…. sure you are….” Clouds and winds without rain” said King Solomon. I really enjoyed this article. It is so true. We need both the Word and the Spirit working together as so wonderfully expressed here. I will be forwarding this on. The ANOINTING shall teach you all things. You come behind in no GIFT. What knows the mind of man except the spirit of man reveals. What knows the mind of FATHER except the HOLY SPIRIT reveals? You have the mind of CHRIST. As HE is so are we in this world. He became sin. (No sin) making us righteousness by proxy sub exchange. One man righteous made all righteous. One act made all righteous obedient in belief. Be obedient to the FAITH! Trusting the power of GOD. Abandon the wisdom of man for the power of GOD in TRUST! That our faith may rest in Gods power. At rest.